"Desertion During the Civil War" is a short book -- a monograph, almost. Lonn's analysis of the "disease" takes into account both North and South, with side glances at the Napoleonic armies, Wellington's experience in Spain, the U.S. military before 1861, and the Franco-Prussian War. She takes pains to present the desertion problem as a practical one that plagued both sides in the war. Part of her thesis, now much-shaken by newer information, was that the South had a serious desertion problem for much of the war, and that it spiraled out of control in the last months. She wrote that the North seemed to get its own desertion problem under relative control about the same time -- largely by draconian measures. "The reader will perforce be impressed with the parallelism which runs through the account of defection from the armies of the antagonists. 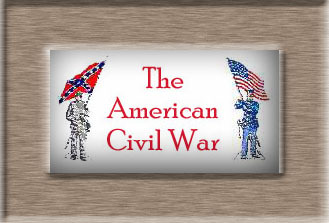 But as the Confederacy was unable to frame a constitution which was other than a slight adaption of the old framework, so these two nations of one race and one heritage, developed the same problems during the war and evolved similar solutions." Among the issues she delves into are men who deserted and then returned to duty, either because they were forced back or because whatever business they had had to attend to at home had been taken care of. Her tables in the appendix list 12,071 men as deserters from Virginia's Confederate forces, and list 8,596 from the state as "returned to the armies." William Blair's "Virginia's Private War" [N.Y., Oxford University Press, 1998] concluded that soldiers left the army for all sorts of reasons, particularly during times of idleness, and many of them came back in time for campaigning. Just as every man who took a draft exemption wasn't voting against the Confederacy, every man marked as a deserter wasn't making a valid political decision about the Confederate cause. Among the Southern deserters, Lonn finds the usual classes who would have deserted from the North, too, had fate cast them on that side, to be dredged up by the nets of conscription or lured in by bounties. There were cowards, scoundrels, and ruffians who had enlisted only to escape some scrape at home. She also mentions foreigners "who knew little and cared less for the burning American question of State rights." Just as in the North, Meade would allude to the "worthless foreigners, who are daily deserting to the enemy." In Texas, the South tried to enlist Mexican immigrants, without much success. "Starting with no particular affection for American institutions, Northern or Southern, they early passed back over the Rio Grande to take part in the difficulties which soon beset their own land." They, too, turn up among the nameless thousands listed as CSA deserters. The United States had the same problem with its recruits in New Mexico. Lonn also identifies Northern-born men, who "were in most cases holders of considerable property or large traders for their communities. ... Many had gone into the far South recently, after 1850, so their ties were still mainly with the North and their traditions antislavery." They deserted as well. Hired "substitutes" for drafted men, as in the North, proved especially liable to desert. "One officer reports that four-fifths of his deserters were substitutes, who deserted within twenty-four hours of being received at his headquarters," Lonn writes. Many a Northern officer would have sympathized. Her conclusion is [p. 226] that one out of every seven men deserted from the Union Army, and one out of every nine men deserted from the Confederate army. But that, though the Union lost proportionately more to desertion, the South suffered more because of the initial difference in manpower. She feels the Union desertions helped prolong a war that the South was losing, because the news of them gave the South hope and allowed it to cling to a dream of eventual victory long after that was practically out of reach. In her conclusion, Lonn writes, "Both sides have just cause to be proud of the vast majority of the men engaged in the war between the States. 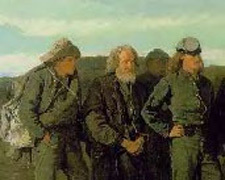 Testimonies of their remarkable daring and coolness under fire, the dependence which could be placed upon them in emergencies, their obedience to orders in an engagement, the stoicism with which they endured the hardships incident to a difficult terrain and climate without murmur are legion and are taken for granted by the writer. Likewise the sustained enthusiasm and dogged determination of the majority of the civilian population to support the war, whether to win independence from an oppressive, centralized government or to sustain the integrity of the Union, need no comment or eulogy." Throughout Lonn's work, she compares and contrasts the Northern and Southern situations and solutions and finds many similarities and identities. Though she credits desertion as contributing to the South's failure to achieve independence, I see nothing in her work that would warrant a belief that the South's desertion problem was somehow a morally damning thing; that it was somehow of a different nature entirely from the North's (or from Napoleon's, or from that of any other army losing a war, which is a hard thing to do). Far more than execrating or justifying the Confederate cause, Lonn seems to be writing with an eye on her own time, in the wake of World War I, which brought up a great many of the ugly things in American democracy that we think only emerged during the Cold War. She alludes to it often, and seems intent on pointing out that the horrors of war -- any war -- are more worthy of note than the characters of men who desert from armies. "The writer ventures the hope that by turning a search-light on a question which could scarcely have found a tolerant reading a few decades ago, a few persons will, perchance, be led to a more tolerant view in discussing and pondering the problems of our recent World War on which passions are still inflamed. The truth is here, it is hoped, impartially presented. The writer, though by accident born in the North, has not felt the slightest impulse to minimize the desertion in the Union armies nor to exaggerate that in the Confederate forces. Her audience would be the first to condemn a partisan bias. The lovers of history should be the first to apply that tolerance to contemporary history." Fuller exerpts from "DESERTION DURING THE CIVIL WAR"